Which Broadcast Pilots Could Benefit From 'Roseanne's' Success? ‘Roseanne’ Revival: Which Broadcast Pilots Could Benefit From Its Success? ABC’s “Roseanne” revival wasn’t supposed to do as well as it did. But a staggering 18 million people tuned into the premiere on Tuesday, and the broadcast networks are left trying to figure out what lessons to take from it. But surely no one is working harder to crack the code than the broadcast networks, which were just shown that getting 18 million people to tune into a primetime sitcom is still possible in 2018. And with pilot season deep underway, they’ll be looking closely at future shows stand the best shot of replicating the “Roseanne” magic. 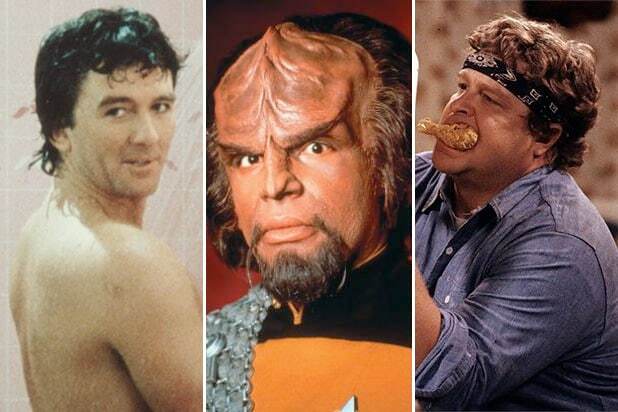 The five broadcast networks are now considering which of 76 pilots they have ordered for this pilot season should become full-fledged series next season. Here are some categories of shows we think may see a “Roseanne” boost. Before “Roseanne,” the biggest “new” comedy this season was NBC’s “Will & Grace” revival, which, like “Roseanne,” is a multi-camera sitcom. While once single-camera shows like “The Office” seemed like the future, multi-camera shows no longer feel like dated relics. The success of “Roseanne” will surely only reinforce the trend as the networks decide what to pick up to series. NBC, which is in search of a companion for “Will & Grace” next season, has ordered four multi-cam pilots — including two executive produced by “Will & Grace” star Sean Hayes. All seven of CBS’s comedies are multi-camera this season, a big push from the network that already boasts “The Big Bang Theory.” Fox, which ordered no multi-cams last year, has two in contention, while ABC has three. Multi-cams are cheaper to produce than the more intensive but popular single camera format, making them especially enticing to broadcasters looking to maximize their investment. Reboot and revival fever rages on this season, and with the built-in familiarity and nostalgic goodwill for a show like “Roseanne” providing a leg up with audiences, expect the trend to continue in the fall. Much has been made about Roseanne Barr’s dedication to depicting the reality of a blue-collar family and all the highs and lows thereof. ABC has danced around the possibility of reviving Tim Allen’s “Last Man Standing” or even “Home Improvement,” with Dungey telling THR that the network hasn’t had any conversations about either show “as of late.” But she stopped short of entirely ruling out the possibility of either show coming back. 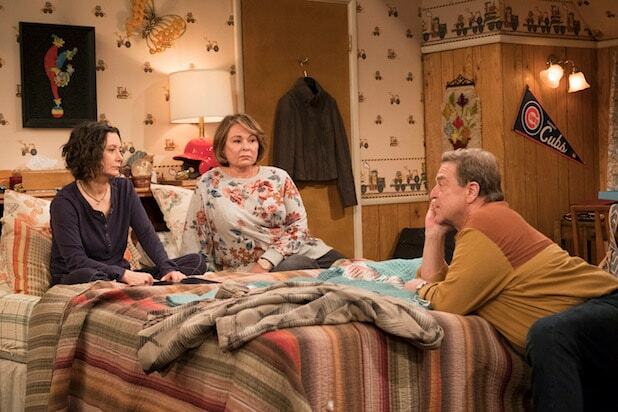 The first episode of the “Roseanne” revival featured a disagreement between Barr’s character and her sister (played by Laurie Metcalf) over politics. Though perhaps less explicitly, several of the pilots in production this year center on different worldviews coming into conflict. The CW’s “Roswell” reboot adds a new layer to the original series about aliens secretly living on Earth by making its protagonist the daughter of undocumented immigrants in New Mexico. The network also has an untitled drama about the life of pro football player Spencer Paysinger, an athlete from South Central L.A. who is recruited to play for a Beverly Hills high school. NBC has “The Village,” a drama about all of the following people living under the same Manhattan roof: a recovering war vet, a pregnant teenage girl and her single mom, a cop with an unexpected love interest, a woman hiding a terrifying secret from her husband and a millennial lawyer and his grandfather. Fox’s pointedly titled “Our People” revolves around a man from a “bombastic” African family and his fiancee from a Midwestern family as they try to build a normal life together when nobody can agree what “normal” means. CBS is taking a similar Midwestern-fish-out-of-water approach with “Welcome to the Neighborhood,” about a man who moves his family into a tough neighborhood in L.A. where not everyone appreciates his extreme neighborliness. The network also has Ava DuVernay’s “Red Line,” about the intersecting lives of people connected to a shooting incident in which a white cop in Chicago mistakenly shoots and kills a black doctor. ABC’s untitled multi-camera comedy from Kenya Barris centers on a stuck-in-his-ways and opinionated fading TV star who moves in with his progressive daughter, her girlfriend and the child they are raising together. It was initially ordered straight-to-series with Alec Baldwin attached to star, but was moved off-cycle when Baldwin exited the project.